In 2009, as a newly divorced single mother with two children, Jennifer found she could only barely afford a one bedroom apartment at a cost exceeding $1000 per month. She said, “I was paying $1000+ for a one bedroom. There was no room for my two kids when they came to stay with me. After 9 months, they also raised my rent.” The rent increase was about to force her out altogether. She explained, “I was a stay-at-home mom for 16 years and getting a divorce meant I had no income to afford an apartment in this affluent neighborhood.” She figured she could move to a more affordable area, but that would push her far away from her children’s school (which had always been within walking distance of home), her parents, and her former spouse with whom she was sharing custody. Jennifer was worried that her children would be isolated from their school friends, far away and unable to grow together. At the same time, Jennifer’s parents were living in Vista Terraza, a National Core affordable housing community in Carmel Valley. At her parents’ suggestion, she visited the manager at the Vista Terraza office to inquire about moving to the residence. Thanks to her parents’ encouragement, her sharp resourcefulness, and some lucky timing, Jennifer was able to qualify for and move into Vista Terraza in 2010, just a short time after her inquiry. She was even able to qualify for a two bedroom unit, which gave her and her kids the space they all needed to thrive. Even the location was perfect: the family was just around the corner from the kids’ school and Jennifer’s former spouse’s residence, allowing for a much more convenient sharing of custody. 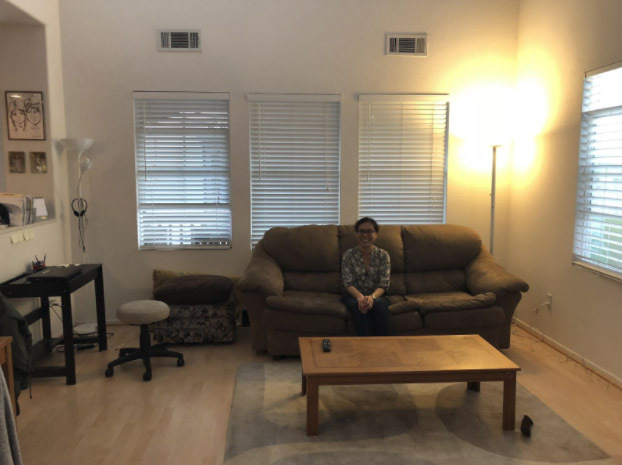 Because Jennifer began to spend significantly less on her rent, she was able to return to school and complete her Master’s degree at San Diego State University in Applied Mathematics. Teaching classes and successfully making ends meet, Jennifer was able to spend more valuable time with her children. She explained, “It helped me that I could work part time, and with my spousal support, I didn't have to work two jobs and take time away from my kids.” As a testament to her drive and potential, Jennifer was also chosen for the prestigious Fulbright Scholar Program. She now has a thriving career as a Cyber Security Engineer. 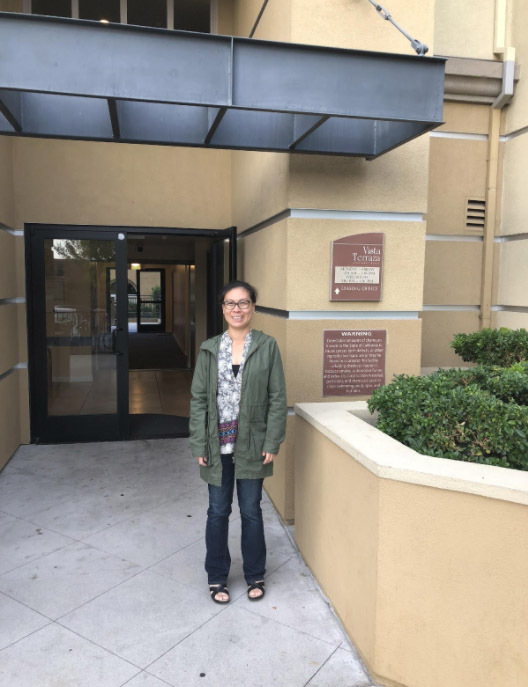 To top off her success story, about three months ago Jennifer closed escrow on a condo that she purchased just a short distance away from Vista Terraza. She is now the proud owner of a bright 1300-square foot condo, with one large bedroom, a 1 ½ bath, a loft, and plenty of room for her and her children. Her parents still live nearby at Vista Terraza. Thanks to her access to affordable housing, Jennifer has become the success story that we would like to see all of our residents achieve. She completed her education, she secured a higher paying job, had the ability to purchase her own condo home and most importantly was able to keep her family close and secure. She is also a STEM education advocate, encouraging kids of all ages—from kindergartners to college seniors—to pursue their interests in STEM fields and careers.